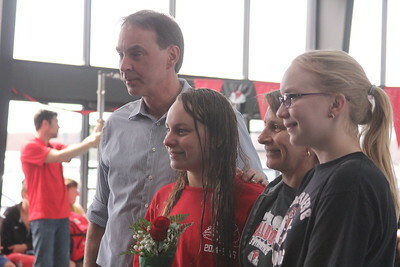 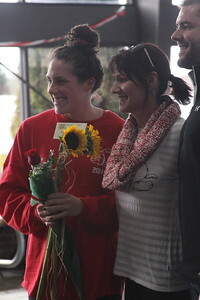 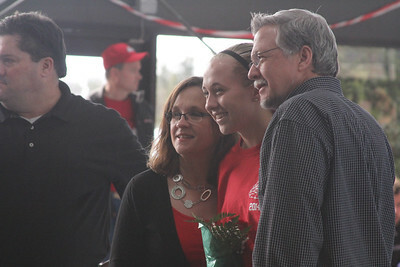 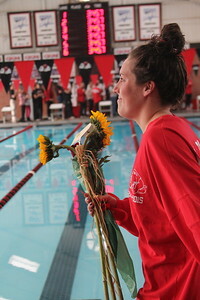 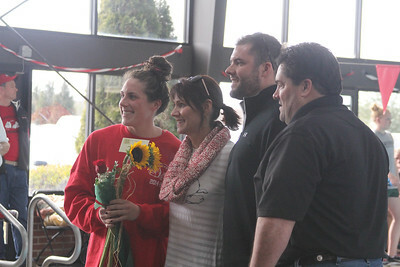 Senior, Jenna Ballinger, is honored at the senior home swim meet on Saturday, January 31st against Davidson. 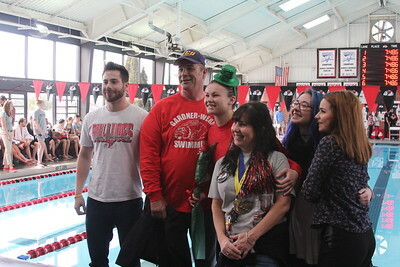 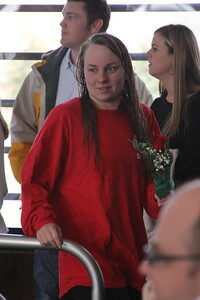 Senior, Charity Byrum, is honored at the senior home swim meet on Saturday, January 31st against Davidson. 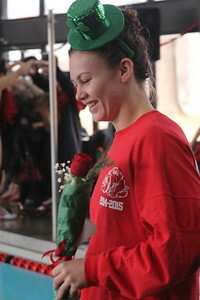 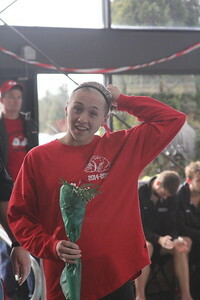 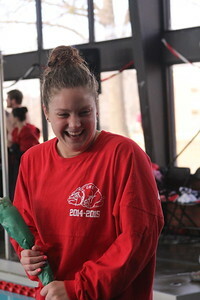 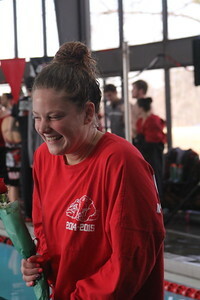 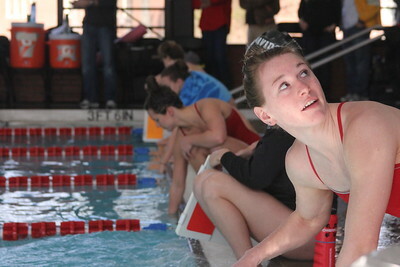 Senior, Kristen Ellison, is honored at the senior home swim meet on Saturday, January 31st against Davidson. 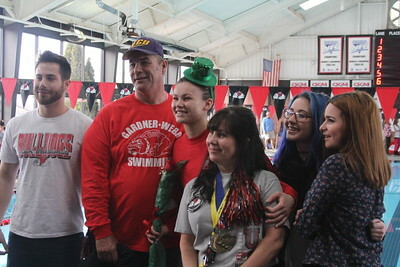 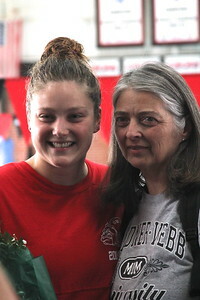 Senior, Mary O'Doherty, is honored at the senior home swim meet on Saturday, January 31st against Davidson. 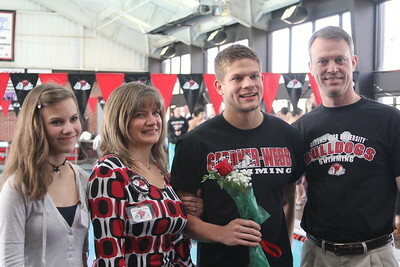 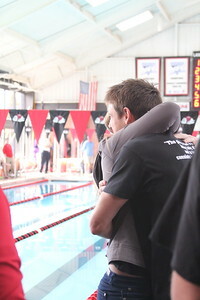 Senior, Cjay Wiley, is honored at the senior home swim meet on Saturday, January 31st against Davidson. 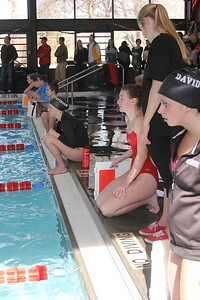 Seniors are honored at the senior home swim meet on Saturday, January 31st against Davidson. 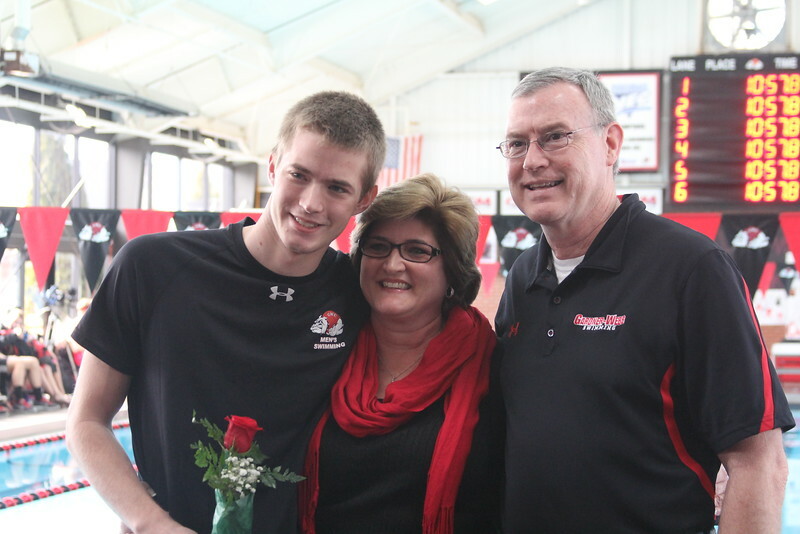 Senior, Joe MacGregor, is honored at the senior home swim meet on Saturday, January 31st against Davidson. Senior, Brandon Searle, is honored at the senior home swim meet on Saturday, January 31st against Davidson. 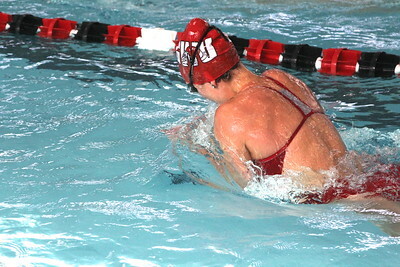 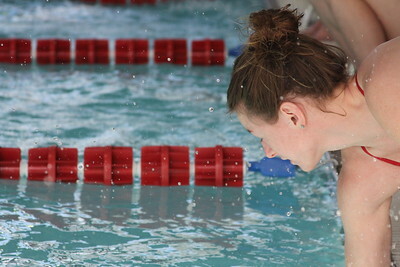 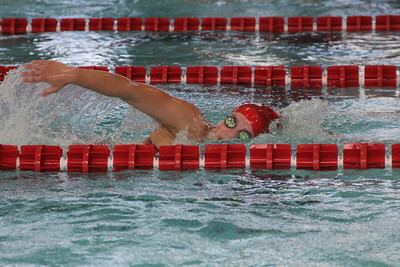 Swimmers compete in the breaststroke. 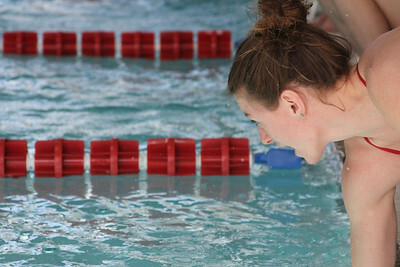 Swimmers compete in the butterfly. 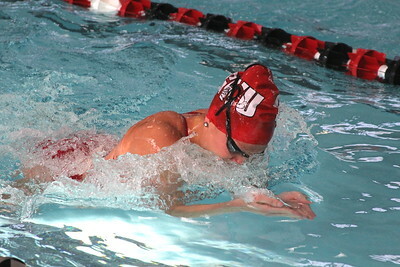 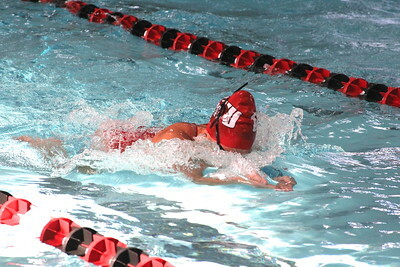 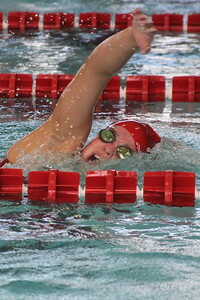 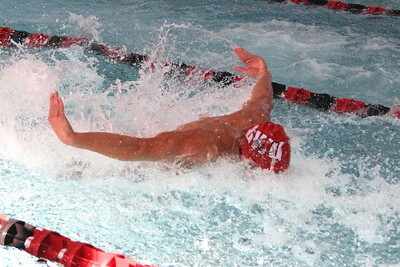 On Saturday, January 31st, GWU men and women's swim takes on Davidson College. 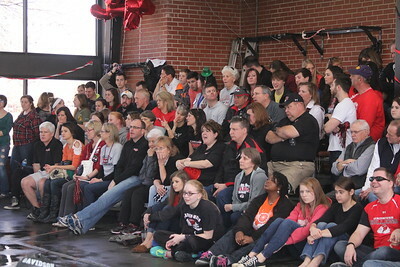 GWU students and fans come out and cheer on the swim team. 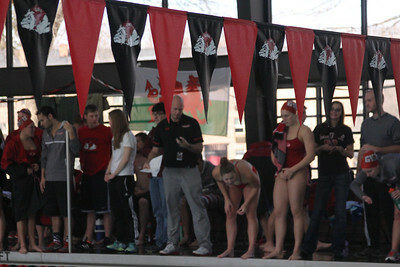 Swimmers compete in the freestyle.